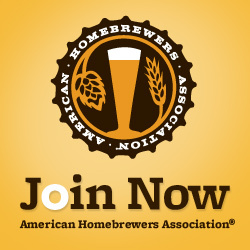 Hello, and welcome to the Iredell Brewers United homebrew club website. We are a laid back but active club full of beer nerds and homebrewers. We all enjoy a good beer, especially ones we’ve made ourselves, as well as sharing good beer with fellow enthusiasts. We meet the 1st Tuesday of every month at Ghostface Brewing at 7pm. Meetings consist of event announcements, homebrew education, homebrew featured spotlight, and of course, general homebrew sampling. All are welcome, but try to bring a homebrew if you can! Are you still active? I ask because I don’t see new posts. I am just starting out and slowly getting equipment. I live in the far away land of Troutman, NC. Yes! We meet on the 2nd Monday of every month at Ultimate Ales in Mooresville. Awesome! one last question. what time do you meet? Small question. Now I see that you meet at Ghostface brewing on second Mondays. I’m confused. Don’t know which place or when.